As we just mentioned, we're not impressed with the appearance, layout or functionality of the Z77H2-AX's UEFI, so let's take a closer look at why. 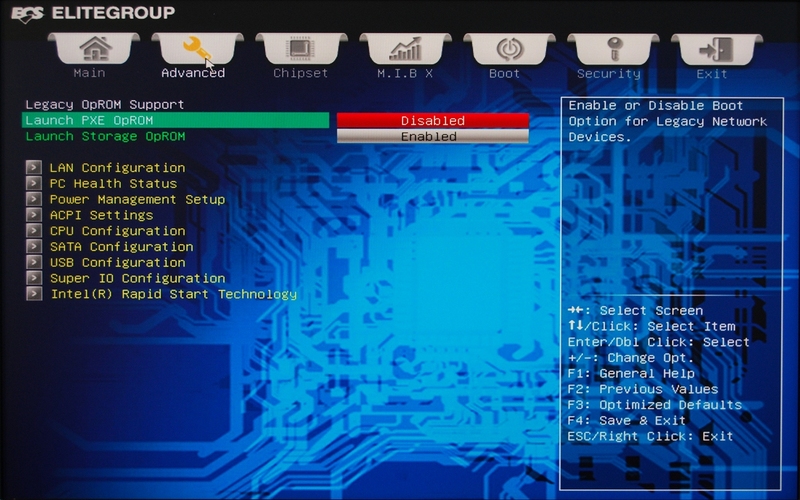 Upon entering the BIOS, you're presented with the screen pictured above. 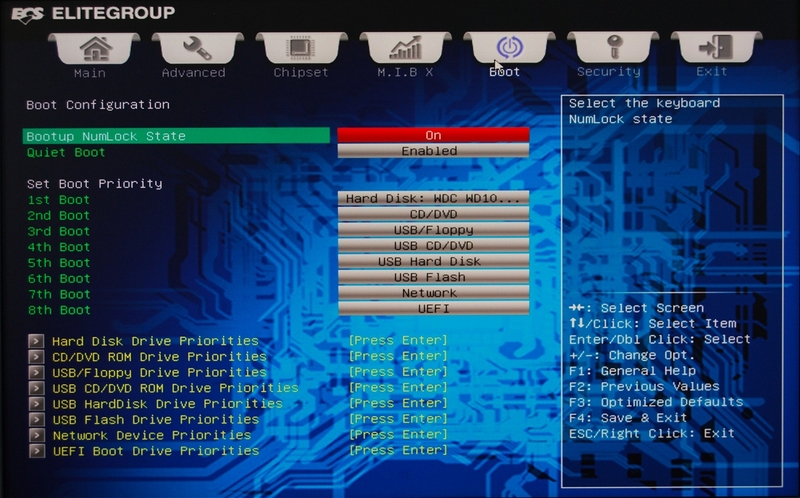 There's a language menu that doesn't need to be in your face every time you enter the UEFI. The same can be said about the Default menu, which simply lets you load the BIOS defaults -- not exactly something you need to be presented with right away. 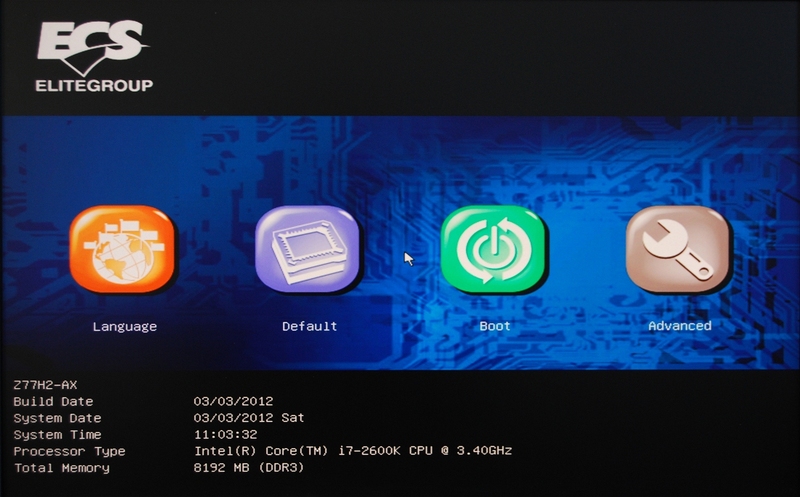 The Boot menu is obviously handy, so that makes sense. As does the Advanced menu and, although we'd like to see this loaded from the get-go, we imagine most users will skip over it and head to the M.I.B X section. 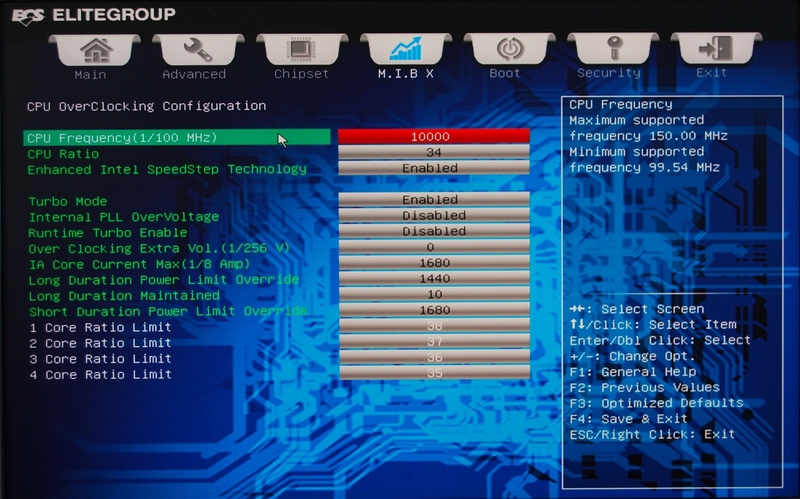 The M.I.B X menu is where you'll find the overclocking/tweaking features and there are a great deal of options here. Sadly, we couldn't get any of them to work as the ECS Z77H2-AX refused to overclock for us. 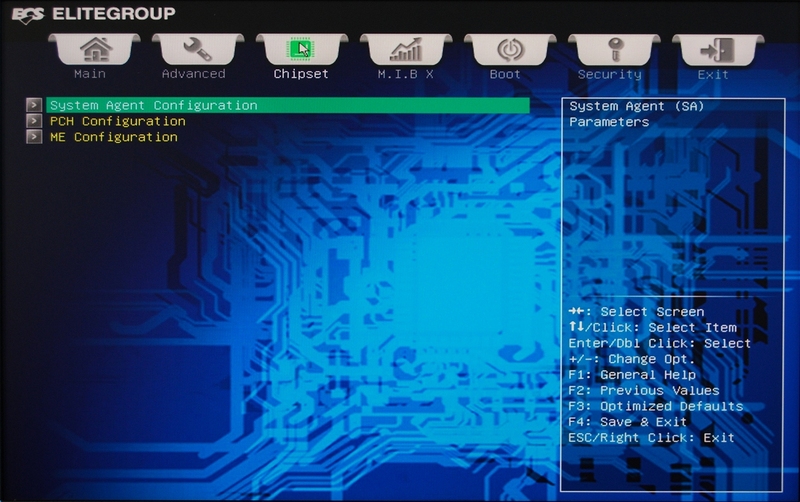 Here is the CPU overclocking configuration section of the M.I.B X menu. Despite offering numerous tweakable options we had no luck overclock with the ECS Z77H2-AX.